In the seventies the business of motorcycle tires gave rise. 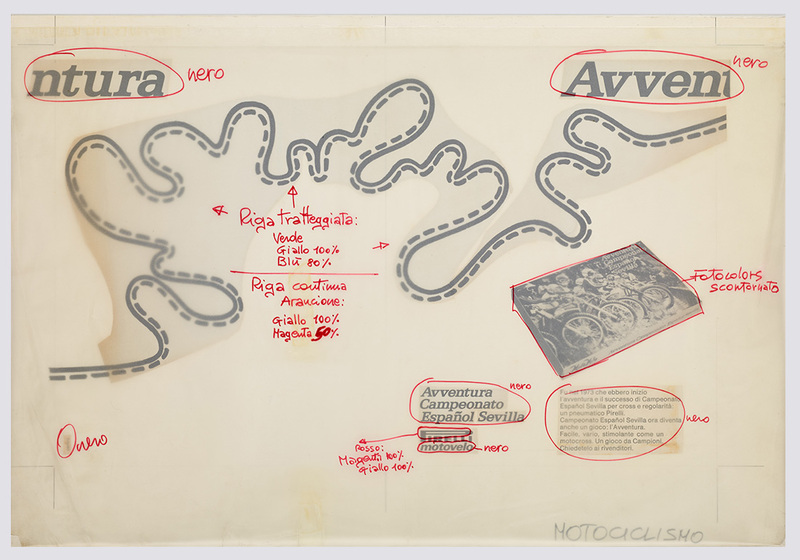 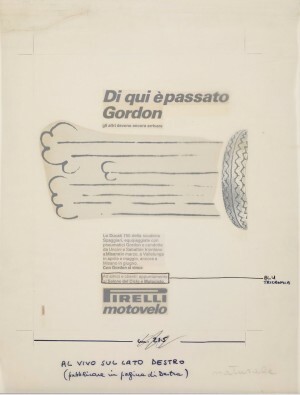 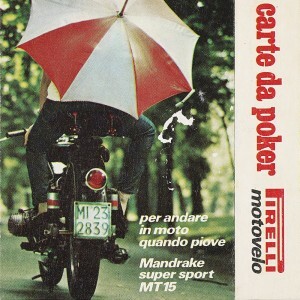 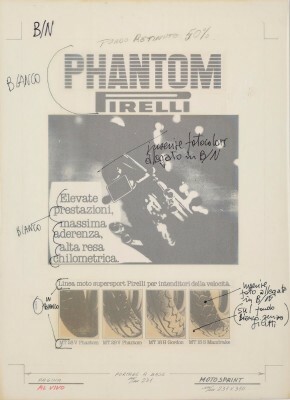 In 1974 – by another rotund, stylized little man, this time riding a motorbike, who interpreted “the Pirelli sign that accompanies motorcyclists and cyclists” and in 1975 the Motoreporter, a photo contest on the theme of La tua estate, una moto, una ragazza (Your Summer, a Motorbike, a Girl): allows to win a Ducati 680 GT. 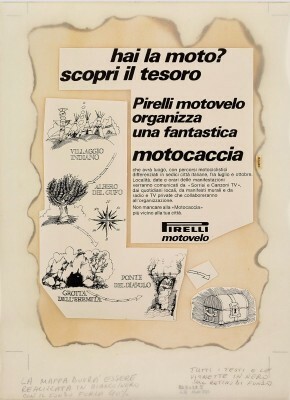 To consolidate consumer relations, the MotoVelo Giochi marketing department developed a series of complimentary gadgets to be given by retailers to anyone who chose Pirelli when they changed their tyres.These gadgets included board games: for 1974, a game called Motoparade, while in 1977 stores were stocked with Avventura Campeonato Español Sevilla, in addition to an invitation for all cross-country riders to take part in a “motorized-treasure hunt”. 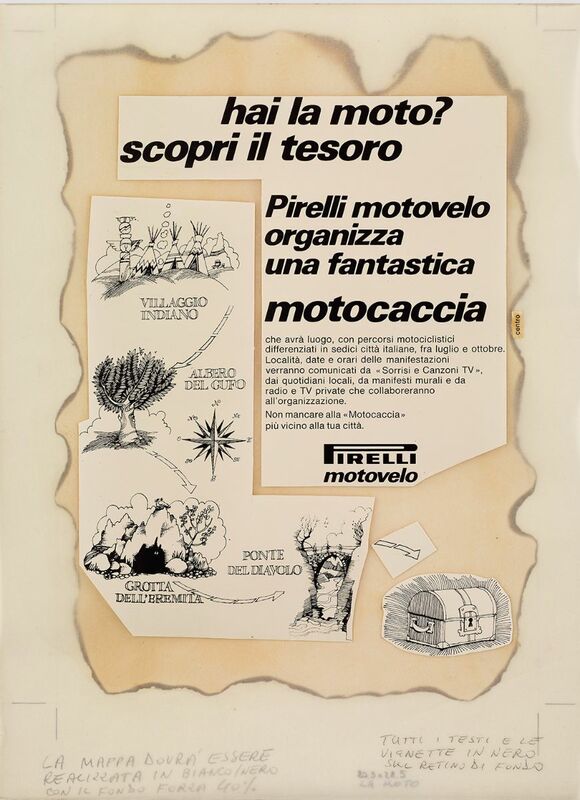 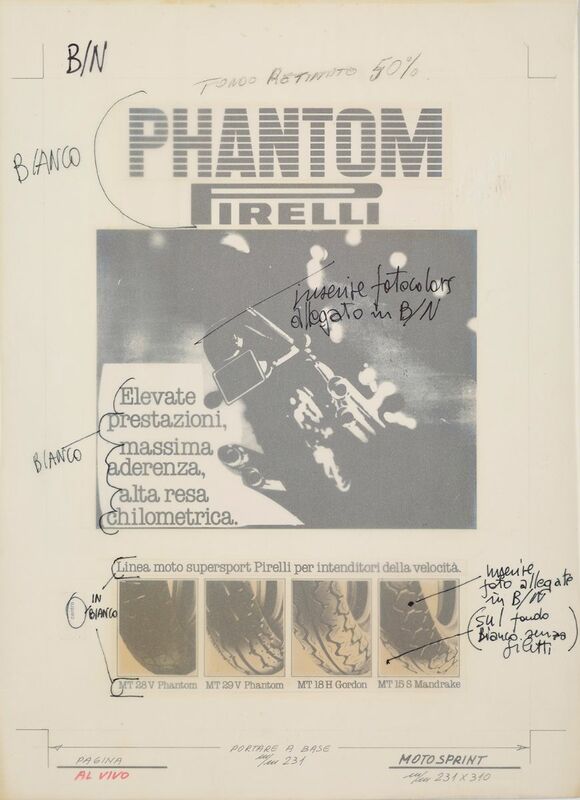 For the summer of 1976, Pirelli MotoVelo dealers were offered a new and unusual gadget: anyone buying tyres would be given record albums as part of the Canta e balla le tue corse d’estate (Sing and Dance Your Summer Races) campaign.